Most dog people would think that just owning a home with a spacious yard will make their furry pal happy. While your dog might appreciate just about any yard, if you love your pet to bits and pieces, you can’t forego his safety! Your garden or backyard can be dangerous to your pooch in more ways than one. This doesn’t mean that your dog would be safer without a yard; but if you make your garden dog-safe, you won’t have much to worry about. 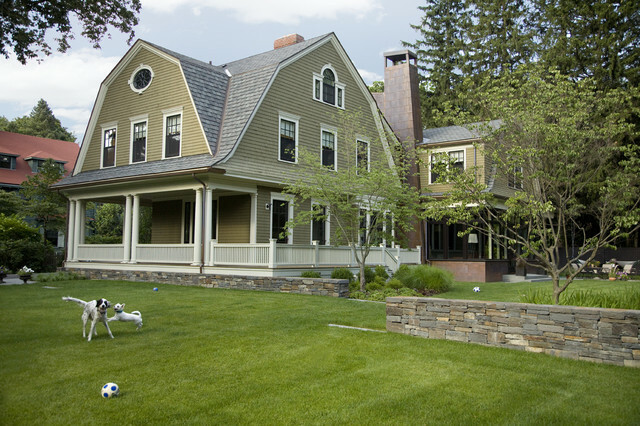 If you’ve just shifted into a home with a yard or are planning to do so, you’ve come to the right place! Here are six tips that will help you make your garden or backyard safe for your fur ball. Even if you’re at home all day, it will be impossible to keep an eye on your dog at all times. Your pooch might be able to sneak out into the garden and beyond it. To prevent your dog from running into trouble, fence your property appropriately. Make sure that your pooch isn’t able to get out by wiggling through the fence rails and posts. If you think your dog might dig under the fence, install chicken wire fence to discourage him. If you have a swimming pool or a hot tub in your garden, be sure to keep it covered when not in use. Fencing the pool or tub and installing a safety lock on the gate will also help keep your dog safe. If you’re planning to install water features like a pond or stream, make sure they are shallow so as not to pose drowning hazards to your pooch. Your dog’s paws are delicate so you’ll need to make sure that the ground is soft. Concrete and hard stone floors can take a toll on your pooch’s joints so consider growing grass in your backyard. Alternatively, use wood chips, leaves, ground rubber tires, or mulch to avoid hurting your furry friend’s paws. If you’re allergic to grass, you can also consider installing synthetic grass– it’ll serve to cushion your dog’s joints when he’s running around the yard or playing fetch with you. What’s more, you won’t need to worry about watering, mowing, and seeding grass! Several plants are toxic to dogs, so ensure that you aren’t growing them in your garden. If you do grow such plants, be sure to fence them off appropriately to keep your furry pal away. You can also grow plants on raised flower beds to make them inaccessible to your dog. Refrain from growing spiny and thorny plants as these can injure your pooch if he gets too close! In addition to this, be wary of weeds like foxtail grasses that have barbed seed heads- when inhaled accidentally, they can have serious consequences. Note that no matter how well-trained your dog is, he is bound to make mistakes and chew on leaves, nip buds, or dig up soil. The best thing you can do for your garden is to grow hardy plants that will be able to resist minor damage. Most dogs love to dig, and if you’re worried that your pooch will destroy your precious flowerbeds, simply give him a dedicated digging spot. Of course, you’ll have to train your dog to dig only in that particular place! Remember to not use excess sand- this will feel dry and not give your dog the same feeling it gets when digging up moist soil. Create walkways through your garden so that your pooch can roam around easily; this will also discourage him from barreling through vegetation and flowerbeds. Materials like smooth rocks, pebbles, and bricks are sure to make him feel comfortable! Furthermore, do set up a marking post for your dog if he hasn’t been neutered. Use driftwood or large rocks and set them up in a couple of areas so that your pooch doesn’t mark elsewhere. Dogs can get hot quickly when they run around, so provide shade by building a canopy in the garden. A cool shady spot under a large tree will also work. If providing shade outside is not possible, make sure that your pooch can get inside the house on his own. 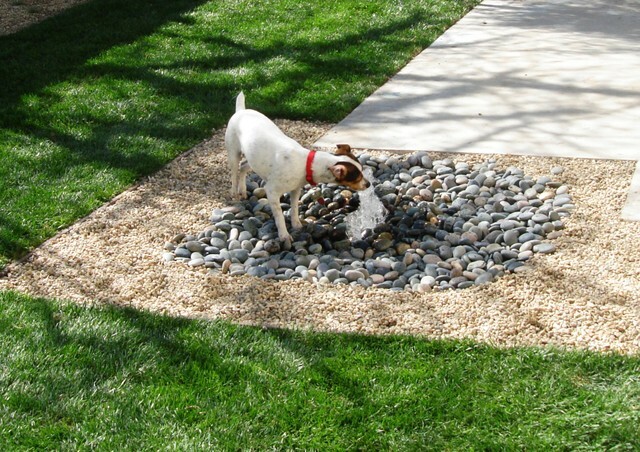 Your canine friend will love it if the garden has a shallow water feature that he can drink from when thirsty. You can also place a bowl of fresh water for him in a shady spot for him to cool off. Now that you’ve read these tips, you’ve certainly realized how important it is to make your yard safe for your beloved pooch. So don’t subject your dog to any danger, just follow the tips and make your garden or backyard the safest place for your furry friend!